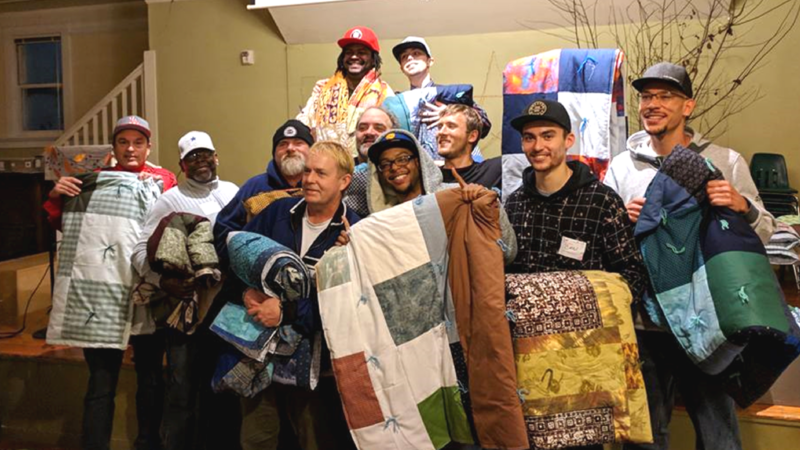 Our Recovery Program Shelter of Immanuel Community Services provides a safe, supportive, clean and sober living environment for adult men who are working to overcome addiction to drugs and/or alcohol. Up to 14 men, who are homeless as a result of their addictions, are invited to stay with us as long as they remain clean and sober. Everyone is welcome to stay with us for up to a year if needed in order to complete their program and move into permanent housing. We have a long-standing partnership with The Matt Talbot Center where most of the men attend a daytime outpatient treatment program. In the evenings and on weekends, ICS is their home. We offer a warm and emotionally supportive environment so the men can focus on their recovery. The men share in the responsibility of communal living, including cooking, cleaning and providing building security. The food is plentiful, a locker is provided for their belongings and they have free access to showers and laundry facilities. At night, they sleep on a mat on the gymnasium floor. The men also participate in meetings and discuss important topics to help in their recovery process including anger management, conflict resolution, hygiene, and effective communication. The success of the ICS Recovery Program Shelter is attributable to the hard work the men put into their own recovery. This program can offer opportunities for the men to make dramatic and permanent changes in their lives.